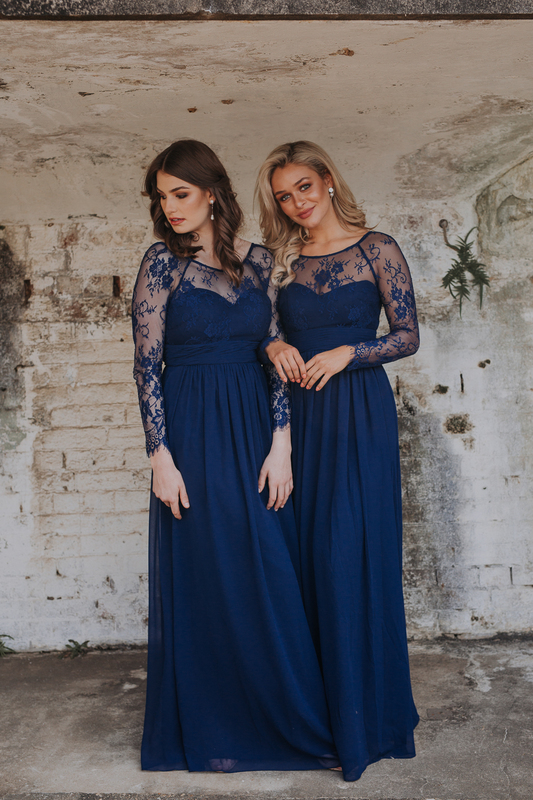 Stunning long sleeved soft lace, the Vallaris bridesmaid dress is feminine beauty set to a flowing georgette skirt. 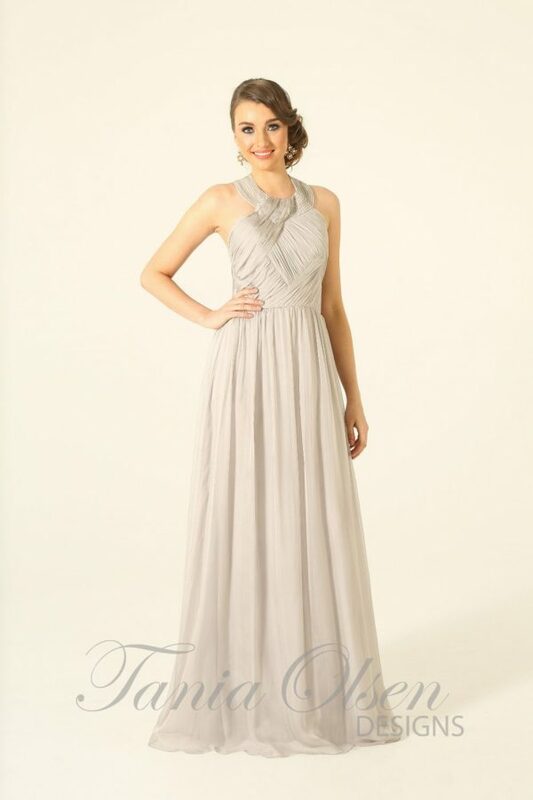 Stunning long sleeved soft lace, the Vallaris bridesmaid dress is feminine beauty set to a flowing georgette skirt. A sweetheart bodice sits beneath the lace, allowing for a hint of sensuality through a classic look.